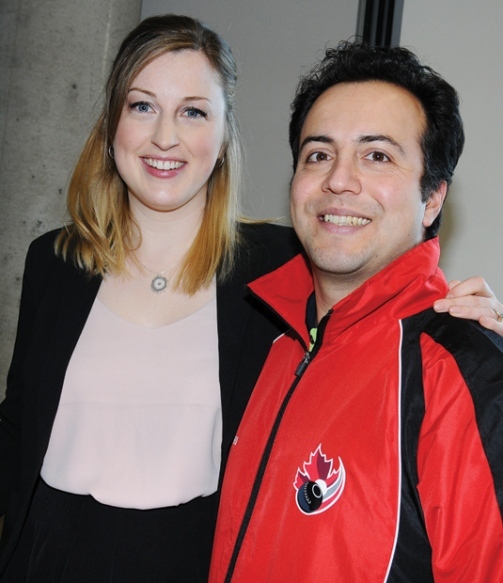 Steven Santana from the West Vancouver LBC was recently acknowledged at the 17th annual North Shore Sport Awards held at the West Vancouver Community Centre atrium. Santana was nominated in the Open Male category for all of his achievements throughout the year in the Sport of Lawn Bowls. Last December, Steven and partner Ryan Bester, took home the Gold Medal in the Pairs competition at the 2015 Asia Pacific Games held in Christchurch, New Zealand. The annual event is intended to celebrate local sport achievement at all levels – high school, provincial and international included. Representatives of the local sports community, coaches, athletes and their supporters were in attendance, seeing this year’s crop of winners awarded in a number of categories ranging from Master Male to Youth Leadership. Congratulations to Steven on this great acknowledgement for all your hard work in Bowls over the past year.